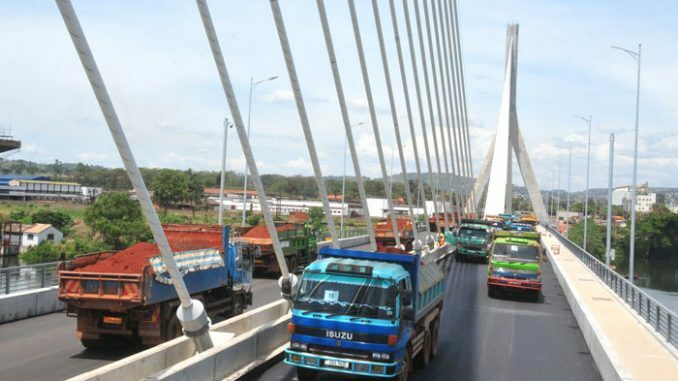 The lorries were put on either side of the new Jinja bridge to test its strength. No motorcycles will be allowed to cross the Nile through the newly constructed cable stayed bridge, according to and transport, Hon. 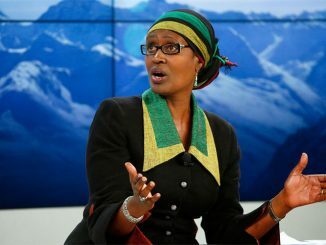 Monica Azuba Ntege. The bridge, the longest across a river in East Africa, at 8 meters high and 525 meters long, was funded through a loan from Japanese International Cooperation Agency (JICA) and constructed by Zenitaka Corporation Company. It becomes the second gateway to the Eastern part of Uganda after the Owen Falls Bridge which has exceeded its lifespan. But as its opening nears, Eng Azuba says that the new bridge will only be used by motor vehicles. Azuba told this publication that although the old bridge, built in 1954, had developed cracks; it will be retained as an alternative route for Non-Motorized transport. She was speaking at the final inspection of the newly constructed bridge in Jinja district on Friday. 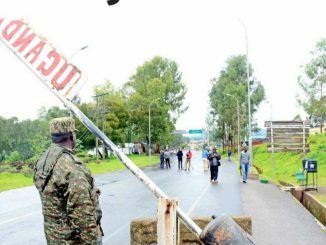 Lawrence Pario, the head of bridges and structures at the Uganda National Roads Authority (UNRA) said that the road has been completely built with pedestrian walkways. However, he adds, that cyclists cannot be tolerated since often; they do not respect traffic laws and letting them compete for space with pedestrians for space, will be risking lives. The Nile Bridge is slated to be commissioned on October 17. Eng Azuba says that 98 percent of the work on the bridge is now complete. The Japanese government has so far injected more than 490 billion Shillings in the construction under the loan agreement. The Government is optimistic that the new Nile bridge will bring added advantage to the business and tourism sector of Uganda, given its comparative advantage as a major route for Uganda’s imports.